Is a Manufactured Home Right for You? 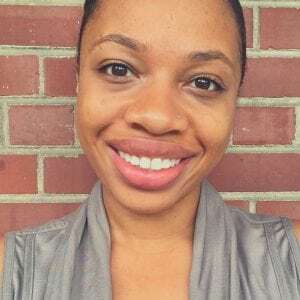 Kristina Byas is a writer based in Milwaukee, WI. Her work has appeared in Thrillist, FemaleIntel, DealsPlus and more. When you’re on the hunt for a new home, there are many options available, from single-family houses to multi-unit buildings, coops and more. As you narrow down your options, several factors will need to be taken into consideration, including cost, size, location and what kind of home works best for your lifestyle and goals. With more than 22 million U.S. residents choosing manufactured homes, according to the Manufactured Housing Institute, it’s possible this type of home could also be the right choice for you. Here are the basics you should know about manufactured homes, including what they are, how to finance them and the pros and cons of making this housing choice. A manufactured home is assembled in a factory, transported to a site and permanently attached to a foundation. These homes are built following federal building codes set by the U.S. Department of Housing and Urban Development (HUD), which establishes standards and requirements for home manufacturers and the structures they produce. This specific type of structure can be purchased at various sizes with different floor plan options. The smallest manufactured home will be no less than 400 square feet, and the largest can be more than 2,000 square feet. Depending on its size and the number of bedrooms and bathrooms within the home, a manufactured home will be considered single-wide, double-wide or triple/multi-wide. Manufactured homes constructed before 1976 are technically considered mobile homes, and they are typically harder to finance. There are many manufactured home retailers, so costs will vary; but when compared to a traditional home, you can generally expect to spend less. You may purchase a single-wide manufactured home for no more than $70,000, for example, rather than a traditional single-family home for almost $300,000. One of the main reasons for their lower cost is production. When a manufacturer purchases the necessary materials to build a manufactured home, they buy in bulk, which lowers the cost. When the homes are assembled, the process takes place within a factory, improving efficiency, preventing delays and disruptions and increasing the number of homes that can be produced over time. The purchase of a manufactured home is not complete without the purchase of land, as you will need a place to put the home. Homeowners tend to lean toward purchasing private land or entering a land lease in a manufactured home community. Purchasing private land will require you to find land for sale, and the cost will vary based on the location. For example, land in Arizona or New Mexico may be cheaper than land in California or Oregon. You’ll also have the added task of having to look into zoning, deed restrictions, placement of the home and more to ensure you can even move into your home. If your choice is a manufactured home community, you’ll be living in an area with sites designed for manufactured homes, where homeowners lease the land on which their homes are located. In most of the U.S., living in this type of community will cost between $844 and $935 per month. On top of reviewing your budget to determine what is affordable, you’ll have to figure out where communities are located, if sites are available, what amenities are offered and what guidelines and restrictions residents are expected to adhere to when living there. Although the number of lenders that offer a manufactured home mortgage is less than those that offer loans for traditional homes, a loan through a mortgage lender is a viable option. Each loan has basic requirements that homebuyers must meet in order to be approved, but you can apply for a Freddie Mac, Fannie Mae, FHA, USDA or VA loan. Depending on your income, credit score and other factors lenders will review, other purchase options may need to be considered. Alternatives to traditional financing for a manufactured home include a chattel loan and a retail installment contract. A chattel loan is ideal for anyone who can’t use traditional financing due to not owning the land where the home will be located. The home will be collateral, and the lender will be its legal owner until the loan is paid off. A retail installment contract, which is the route many people take when purchasing a manufactured home, is another possible solution. This option will require the homebuyer to pay the home retailer for financing, which may include a down payment as well as closing costs. Affordable: Manufactured homes tend to be more affordable than traditional homes, making it possible for many people to become homeowners. Customizable: Homeowners have the option to customize many of the home’s features to ensure everything suits their needs. HUD codes ensure homes are built to a certain standard: With HUD codes establishing specific standards for each manufactured home, owners can enjoy a home that is as safe as a traditional home. Faster building process: As manufactured homes are built in factories, your home can be constructed relatively quickly. Land purchase: If you choose to purchase private land, this will increase the total cost that you will have to pay to live in a manufactured home. Limited finance options: Not every lender’s mortgage products include manufactured home loans, so you will only be able to select certain lenders. Location of manufactured home communities: Restrictions on the placement of manufactured home communities can make it difficult to find one in a location that is ideal for you and your family. The search for the perfect home can lead people in different directions. A traditional home may appeal to many, but there are multiple reasons people might choose manufactured homes. If a quality-built home that is affordable is what you are looking for, a manufactured home could be the right fit for you. When is your mortgage payment late?